It could be labelled as an ideological battle, but that might be too exteme. Is it a story of the hometown hero versus the outsider? Is it about fairness? Selection? Consumer choice? Well, this battle of the beers is technically about all of those things. Alberta’s small brewers are trying to pressure the provincial government to change the rules for beers imported from other jurisdictions, which can mean Belgium or B.C. As it stands, small- and medium-sized brewers get a tax break in Alberta, whether they brew here or not. It can mean a difference of 78 cents per litre. The problem is, other provinces don’t offer the same incentives, meaning Alberta’s craft brewers are at a disadvantage compared to their peers. If a brewer from Alberta wants to enter the B.C. market, for example, they’re faced with a protectionist provincial system. The latest salvo in the war of words in this debate is from craft beer importers and some liquor store owners. Vern Raincock, president of beer importer DeLancey Direct, doesn’t want to see the rules changed, at least not in Alberta. After all, it will affect his bottom line. He worries the increased costs will mean a reduction in Alberta’s excellent beer selection. “I do understand the frustrations of the Alberta craft brewers, but I think that we’re going about it wrong,” says Raincock. So, everyone wants the same thing. Sort of. The craft brewers and Raincock want a level playing field for brewers in Canada, but whereas the Alberta craft brewers want to add protections similar to those imposed on them in other provinces, Raincock wants those protections eliminated from the country entirely. As one would expect, there isn’t a lot of disagreement on this point, at least theoretically. 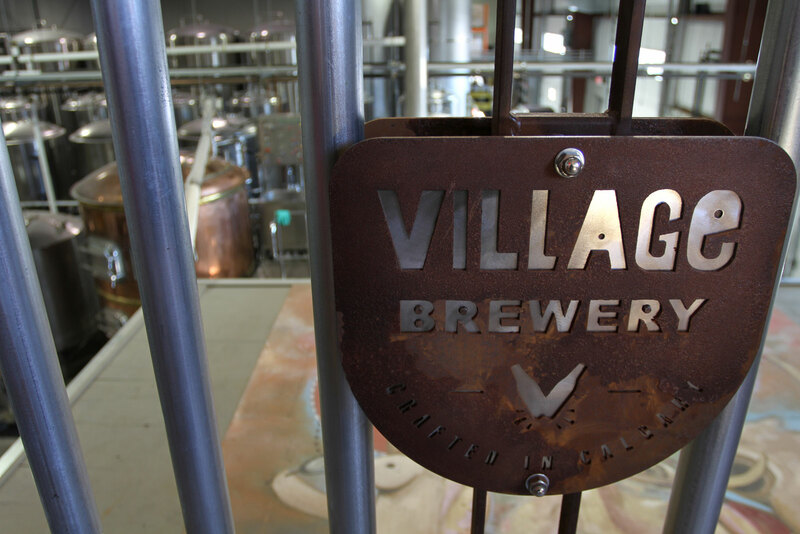 Jim Button, from Village Brewery, says Raincock’s suggestion is great as a long-term goal, but doesn’t address the disadvantage small brewers currently face in this province. “Well, in a perfect world, that’s the way it should be, because if we go to any other province, we’re having the exact same situation that we’re suggesting they have,” he says in reference to changing Alberta’s tax structure. Button argues that it’s difficult to make a profit as a small brewer in Alberta, and if we want more breweries producing craft beer here, the rules have to change to ensure the brewers are competitive. For Raincock, it goes beyond taxes; it’s also about enforcing rules and making sure the Alberta Gaming and Liquor Commission (AGLC) cracks down on alleged graft in pubs and restaurants. The argument around tax incentives has picked up steam since August of last year, when 11 small Alberta brewers sent a letter to Deputy Premier Thomas Lukaszuk asking for the rules to be changed. The government intially promised action, but has yet to deliver. The craft brewers’ letter calling an end to the Alberta tax break was followed by another letter sent on behalf of Canada’s National Brewers, representing the big producers in the Canadian beer market, which essentially supported the craft brewers. The letter said Alberta’s system was set up to encourage the growth of craft brewers, create a strong craft beer sector and offest economies of scale. “Over time, the Alberta tax subsidy has grown from a program that achieves these three objectives to one that unfortunately achieves none of them,” reads the letter. Although surprising at first blush that the big boys are supporting the little Alberta competitors, it comes down to what this fight is all about and who the real competitors are — the cheap beer producers. “You can imagine, that’s where all this started,” says Button.